Mar-Bal will be leading and participating in the Hiring of Our Heroes Event again this year in Cleveland. 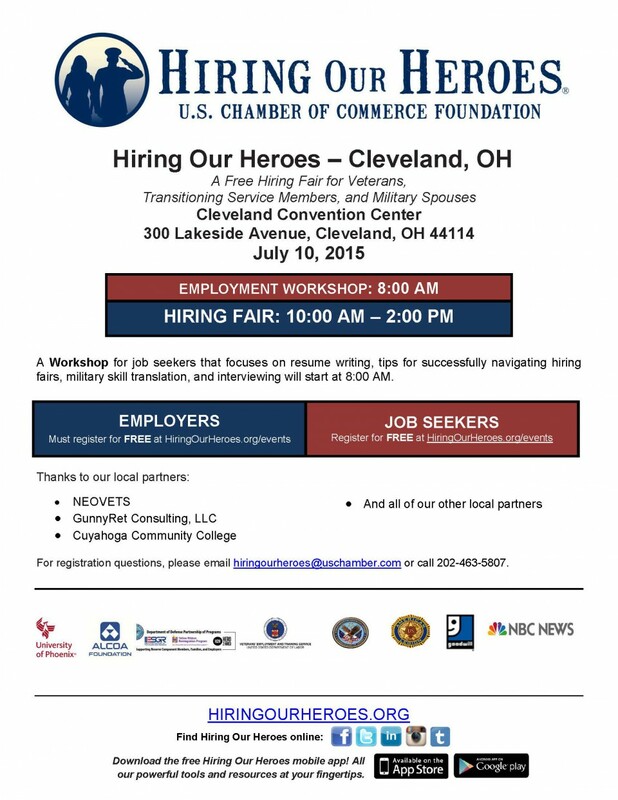 The event will be held at the Cleveland Convention Center on July 10, 2015 and is focused on hiring our U.S. military veterans, transitioning service members and military spouses. This is the second year that Mar-Bal has participated in this important recruiting and hiring event. This entry was posted in News on June 25, 2015 by Ron Poff.